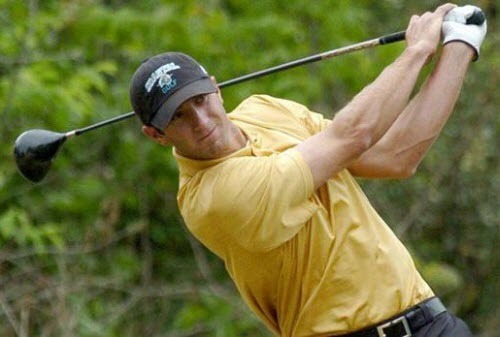 Only two players have ever come out of college and won at least one tournament in each of their first seven years on the PGA Tour – one was Tiger Woods and the other Dustin Johnson. Like Woods, Johnson is one of a handful of players that other pros shake their heads in disbelief after watching shots they can only dream of hitting. By consensus, Dustin Johnson is the best natural athlete on Tour. It is easy to imagine that with a little dedication and a different direction growing up in Columbia, South Carolina, the 6’4″ Johnson might have earned his living dunking basketballs or flagging down passes in the NFL. But instead, young Dustin tagged along with his teaching pro father to the driving range and built his own athletic swing, which has been tampered with very little ever since. In high school, Johnson spearheaded his Dutch Fork High School team to the state championship, but his aversion to attending class scared off college recruiters. Allen Terrell at Coastal Carolina University, down the road from Myrtle Beach in Conway, South Carolina, was the only coach to take a chance on the long-balling teenager. Johnson responded to the opportunity by becoming a two-time All-American and carrying the Chanticleers into the NCAA championship field. Through his twenties, Johnson signed on with TaylorMade Golf and piled up more Tour wins – eight to be exact – than any other player under 30 years of age. He finished in the Top 10 six times in major tournaments, which included some near misses. One in the U.S. Open at Pebble Beach after leading late into the championship, and another at the PGA Championship at Whistling Straits when he famously grounded his club in a bunker that he believed was a waste area, with the resulting penalty stroke keeping him out of a playoff. Despite that enviable record, Johnson has been dogged by the widely-held opinion that he should have accomplished much more, given his abundance of natural ability. Such is the curse of talent. Entering his thirties, Johnson has settled down with Paulina Gretzky, the cover girl daughter of hockey legend Wayne Gretky, and the couple has had a child, so perhaps his priorities lie (rightfully) elsewhere. With his prodigious length and uncanny accuracy off the tee, Johnson’s driver is by far his greatest weapon. He regularly resides among the leaders in driving on the PGA Tour – both in statistics and expressions of awe. 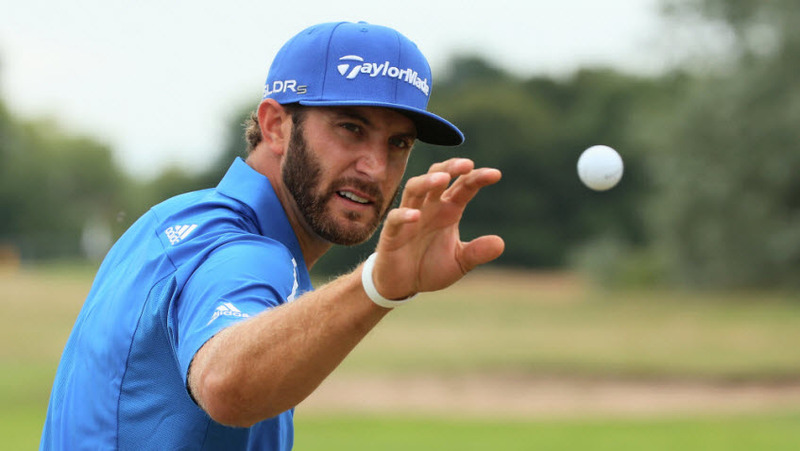 It may be a cliche, but the old saw of “driving for show and putting for dough” certainly explains why Dustin Johnson has yet to dominate the golf world in the manner of a Rory McIlroy, Jordan Spieth or Jason Day. He is among the worst players on Tour in greens hit from 75 yards to 125 yards – right where his gargantuan drives often leave him. He is always towards the bottom of the list in strokes gained by putting, and Johnson has never ranked higher than 139th when one of those majestic iron shots goes awry. Of course, no one is more aware of these statistics than Dustin Johnson himself. Citing a new maturity, he asserts that he has now put an oft-times tumultuous off-course life behind him, and is newly dedicated to golf and his young family. The 2015 season saw Johnson as a factor in all the majors, most notably three-putting from 12 feet on the final hole at Chambers Bay to miss a playoff with Jordan Spieth in the U.S. Open. He recorded three Top 10 finishes in the majors, won his second World Golf Championship at Doral, and finished fifth in the TOUR Championship. It was another fine year but everyone – including Johnson – expects so much more after watching those drives explode out of the tee box. As he works to make his short game world class as well, the breakout year for Dustin Johnson may very well be waiting in 2016. Which Countries Breed the Best Golfers?